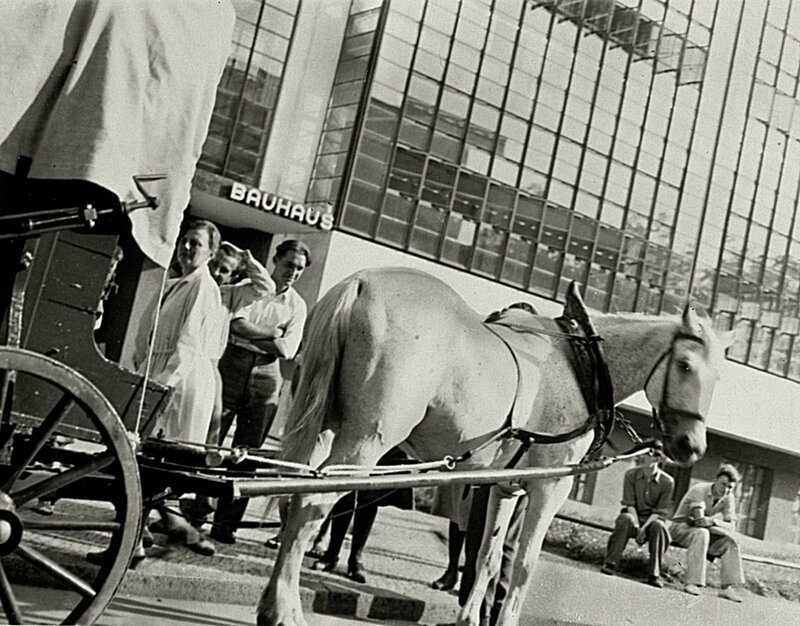 In 1925, Bauhaus moved to the second location: Dessau. Dessau is the city with which the Bauhaus is most closely associated worldwide. This is not only because the Bauhaus exerted its influence here longer than elsewhere, and experienced its heyday here. Dessau is also the only place in which the three Bauhaus directors – Walter Gropius, Hannes Meyer and Ludwig Mies van der Rohe – were active and where almost all the Bauhaus buildings were built. These are now regarded as icons of 20th century architecture. Dessau is also the place where the Bauhaus’s aspirations towards the formation of a modern society become tangible and accessible. This is where the collaboration with industry – especially with the manufacturers Junkers – happened; this is where buildings were built for the homestead and cooperative movement and cooperative projects with theatres were realised; this is where numerous public institutions – from the Employment Office and Anhaltische Gemäldegalerie to the Tourist Information Office – were designed by members of the Bauhaus; this is where many of the prototypes were built, with which the history of Bauhaus design was written. The Bauhaus building exemplifies the educational concept; the ensemble of master’s houses sheds a unique light on the group of Bauhaus masters. This is why, of all the Bauhaus sites, Dessau attracts the most tourists worldwide. While Weimar embodies the pre- and early history of the Bauhaus as well as its important early phase, Berlin, with the Bauhaus Archive, the Berggruen Collection and other institutes not only has the most substantial Bauhaus collection but is also the cultural centre that provided important stimuli for the historic Bauhaus. After Bauhaus moved to Berlin in 1932, the legendary schoolbuilding survived the third Reich, World War II as well as the GDR and became home of Bauhaus Dessau Foundation in 1994.